I truly believe this. If you have a friend who is bubbling over her quilting project, you get excited too. 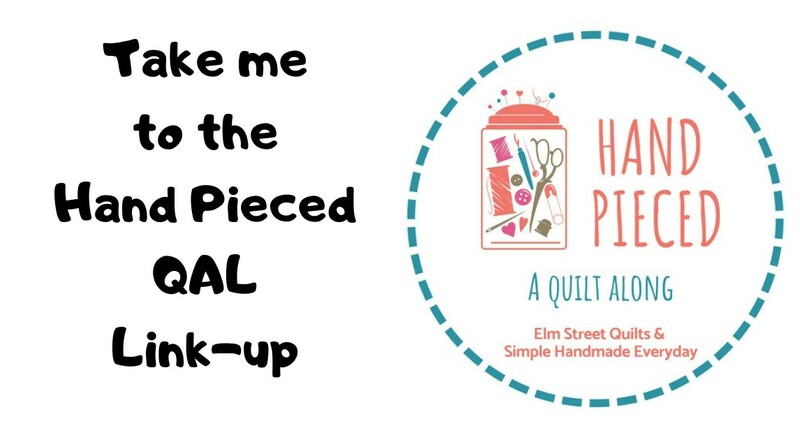 If you see a photo of a beautiful quilt, you are ready to tackle that pattern yourself. 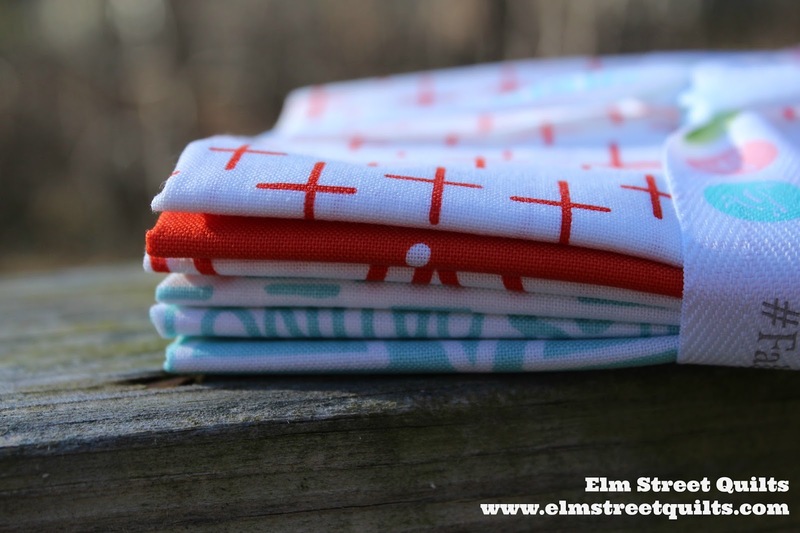 Spend just a little time looking at photos on Instagram and you'll be pulled in to a great project and awesome fabric. Here's the backstory. 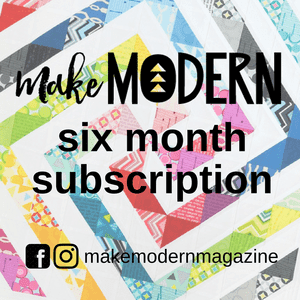 The Modern Quilt Guild Spring 2017 challenge was to use prints from the Riley Blake Creative Rockstar fabric line. They sent me a F8 bundle of really awesome fabric for the challenge. 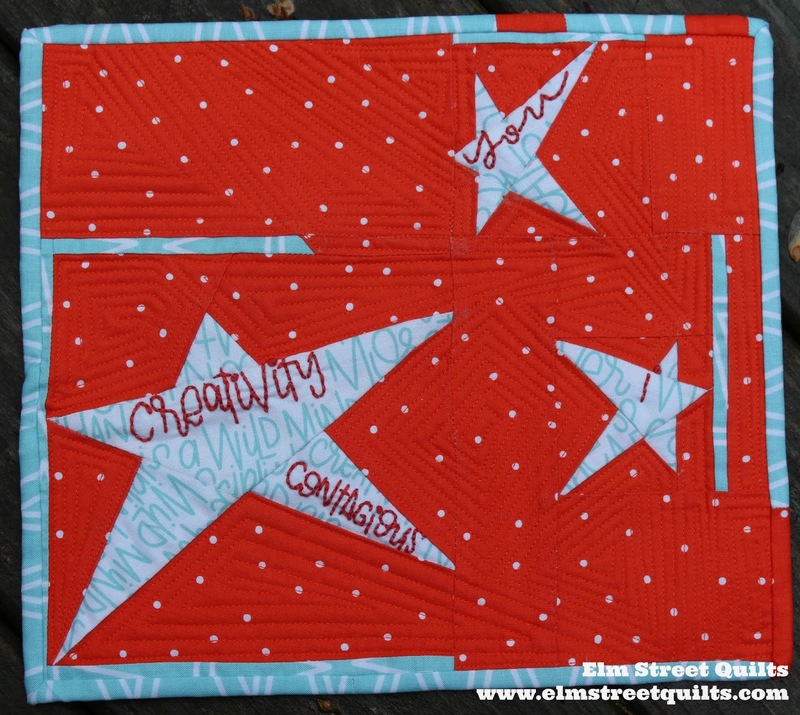 While the rules allowed you to add other Riley Blake solids or Creative Rockstar prints to the challenge, I decided to only use the fabric in this F8 pack. And I wanted something that would clearly highlight the text fabric - I just loved the messages. I paper pieced each of the stars being very fussy about where different words ended up. I then highlighted four of them by stitching over with DMC floss. 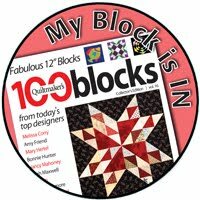 Creativity is contagious from you to i.
I had a blast with the quilting. I like the back too - I used another of the prints there. I also like how my piece binding turned out. 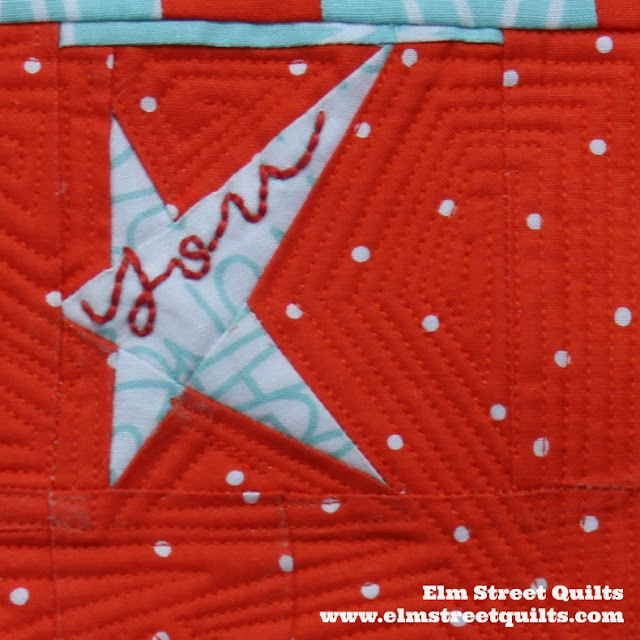 Did you enter a quilt into the challenge? Fingers crossed that I win or you do! Contagious will be linked up with Freemotion by the River, WIP Wednesday's, Let's Bee Social, Midweek Makers. Needle and Thread Thursdays, Finish it Up Friday and Finished or Not Friday. Wow that is amazing! I wanted to write "awesome", but I seem to be over using that word lately....:)...You are SO Creative! I love everything about this mini! And that's one helluva French knot!! Very cute, Pattty. Good luck. Neat! I love the embroidered embellishments. What a fun quilt. I didn't enter the challenge but I do love what you did with your mini!